Buddhist Prayer beads are used in many different religions when praying or reciting chants, and every bead represents one single praying which is really helpful to know how many left you have on. These Tibetan Beads are representing peace and our deep beings and are very helpful in spiritual rituals to find your inner self again and to promote the well being of all the chakras which should be aligned together. 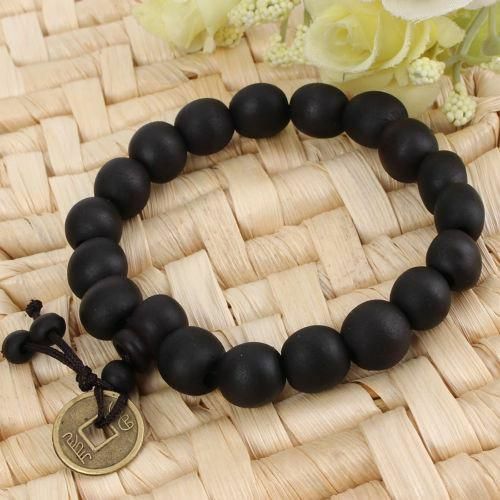 The beads are made of quality wood that ensures durability and long use of the bracelet and it is made to be resistant of water and outside pollution. This Buddhist Prayer Beads Tibet Bracelet is made in dark and it represents a universal accessory and praying bead that everyone can use.